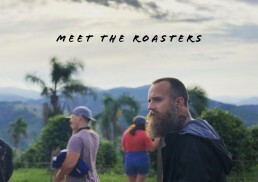 Our coffee crew are heading to WA to talk all things coffee. We’re holding a series of different coffee-focused events & info sessions while we’re there. We hope we get to see you at one (or all) of them…we won’t judge! Our first stop, after touching down in glorious Perth is Offshoot Coffee in Hibernian Place for their weekly Tuesday cupping sesh. We’ll be showcasing a few blend origins, some of our current Singles (and a couple from the legends at Genovese). We’ve managed to get hold of some exclusive Best of Panama sample lots that we’ll add to the table too. Cupping starts at 5pm. Be there or be square. 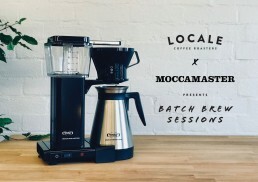 Next up, we’ve joined forces with the crew at Moccamaster to bring you our Batch Brew Sessions. Here you’ll learn how to batch brew like a pro with a focus on Moccamaster Thermal (1.25L) & Grand (1.8L). We’ll sample some brews, discuss how to make adjustments to your brew ratios & have a good old chinwag while we do! For more info, and to secure your tickets, visit the link below. Love Cold Brew?…us too! 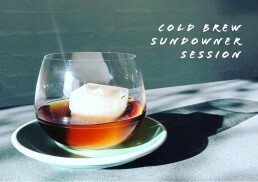 Our Cold Brew Sundowner Session at The Little Bay is definitely for you then. The coffee team will provide a quick demo using a base recipe that you’ll be able to build on & adapt. We’ll taste some brews, discuss a few serving options, including a delish cocktail/mocktail we created for our last event with Mazzer. Stunning location, cocktails, canapes & good chats provided. Tickets available through the link below. Then we’ll cup some blend origins & our upcoming singles before they’re released. Light snacks, beers & good banter provided. Grab your tickets now! 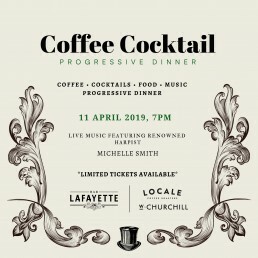 Our good friends at Bar Lafayette & W.Churchill are hosting a 3 course, progressive dinner between the two venues. They’ve created 3 cocktails using our single origins & have paired the drinks to each course. The night will kick off at Lafayette, we’ll be there to explain a bit about the origins before starters & aperitivo cocktails are served. The night will move to Churchill’s for mains (and another cocktail creation from the exceptional Lafayette bartenders), and finish with dessert & espresso martinis. Sounds like a match made in coffee heaven to us! You can buy tickets through the link below.